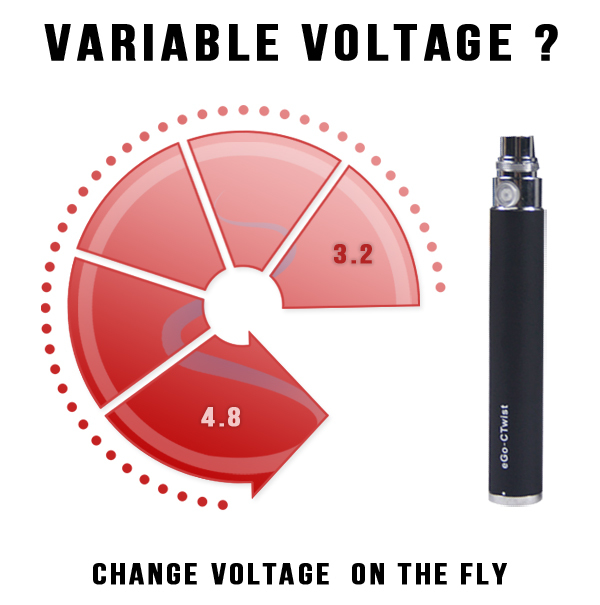 With Variable Voltage, you can change your battery settings from 3.2 Volts all the way to 4.8 volts. The benefit of Variable Voltage allows you take take stronger puffs or vapor hits and you can also save your battery life if you are vaping on long trips or long work days. 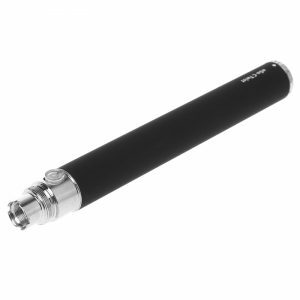 The eGo Twist Variable Voltage Starter Kituses a vape pen battery that can change voltage settings on the fly. If you are tired of vaping at the same voltage and want a little more “punch” out of your battery, take a look at the eGo Twist Variable Voltage Starter Kit. 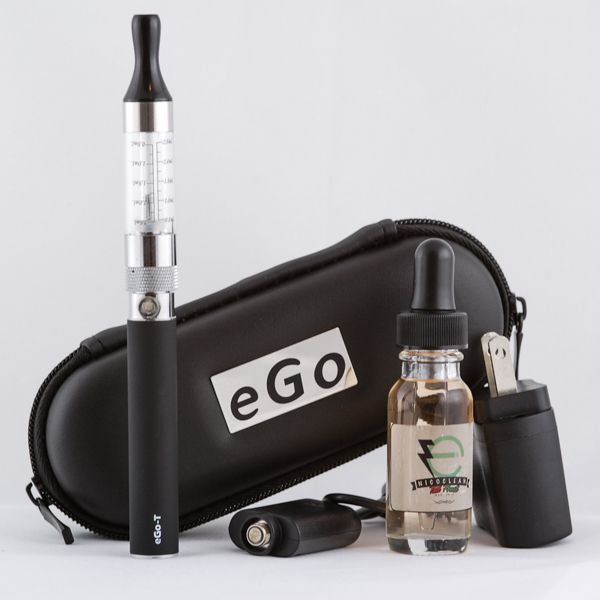 The eGo Twist Variable Voltage Starter Kit operates the same way as the eGo-T in regards to the clearomizer/ atomizer which can be broken down into parts, interchanged, and put back together. The eGo Twist Variable Voltage Starter Kit is a great vape pen for people who want to get the longest life possible out of their vape pen for the lowest price. The eGo Twist Starter Kit is the difference between your battery dying in the middle of the day or lasting a whole 8 hours if you use it right. The 900 mah battery and variable voltage on the eGo Twist battery mean that you can vape for a very long time without having to recharge your battery. It just makes sense to put a larger tank on that battery so you can also vape for a long time without having to refill. With a 2.6 mL capacity on the T3S clearomizer tank, you have easily a full day or even more of vaping pleasure before you have to refill, and of course the speed at which you go through your e juice depends on how much you vape. 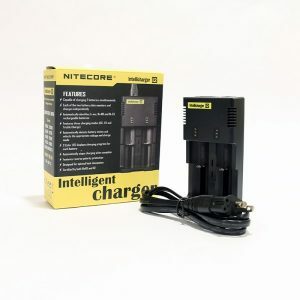 We tried to give you a battery and a tank that would need to be charged and replaced at approximately the same time, so that you do not have to refill your tank multiple times per day. Of course, you can often get a little more than 2.6 mL of e juice in your T3S Clearomizer tank if you are careful when you refill it. 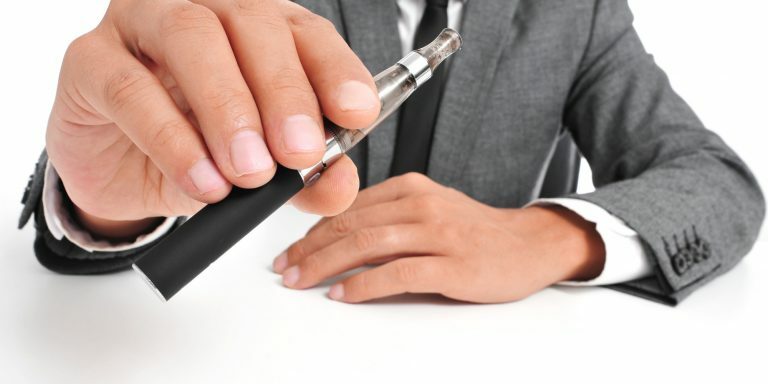 There is a reason why you would want variable voltage in a vape pen and it is important to understand the difference between a vape pen with variable voltage and a vape pen like the eGo-T without Variable Voltage. Variable Voltage comes in handy in many instances and especially when using different clearomizer tanks. If you are only using one clearomizer or cartomizer tank such as the MT3 or T3s then a standard eGo-T will do the trick. If however, you are looking to upgrade clearomizer tanks in the future and you want a more flexible vape pen that will give you perfect vapor with different tanks, then an eGo- C Twist Starter Kit would be for you. 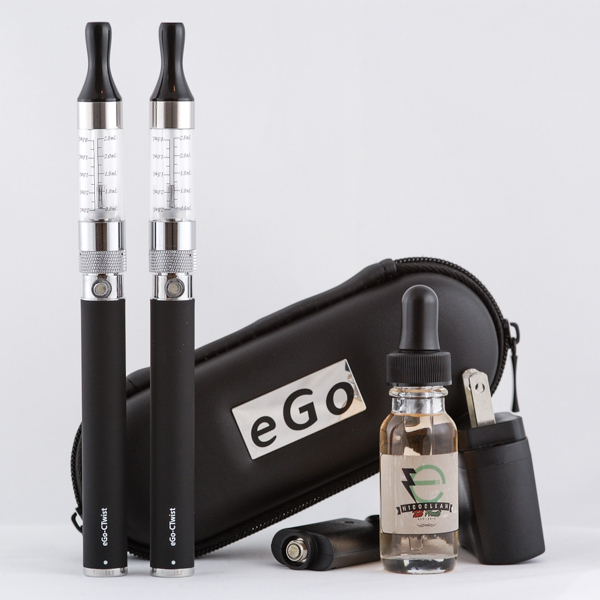 The eGo- C Twist Starter Kit works with every clearomizer tank out there and has options to set the voltage just right for any tank you may upgrade too. Vapor Reduction/ No Throat Hit with eGo Twist: If you are vaping with a T3S clearomizer tank at 3.6 volts and you start to notice the vapor production reduce or the throat hit becoming minimal, change your settings to a 4.2 and you will notice a huge increase in both. Using Different Clearomizer Tanks with eGo Twist: If you are using a T3S clearomizer tank (Best Voltage = 3.6-4.0) and switch to another tank such as a Kanger Tech Unitank (Best Voltage = 4.2-4.4) you will want to increase your voltage. 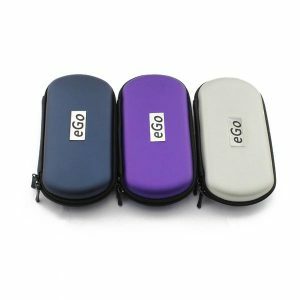 Saving Battery Life with eGo Twist: If you are vaping strong all day at 4.0 volts and you notice a decrease in vapor production or throat hit (and you are looking to save battery life) switch to 3.2 volts and your battery will last much longer. 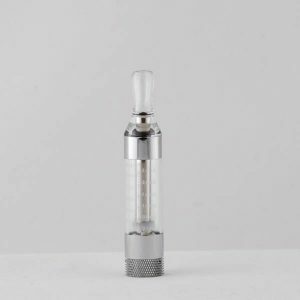 Burnt Taste with eGo Twist: If you are experiencing a burnt taste and your clearomizer tank is full of E Juice, you will need to turn your settings down from 4.8 volts to 4.0 volts and this will provide a smooth, warm, delicious vapor. Burning off flavor with eGo Twist: If you are changing from Strawberry Banana E Juice to Milk and Honey E Juice, you will want to burn off the Strawberry Banana flavor before you fill your tank with a new flavor. In order to do this, you will screw on ONLY the atomizer head to the battery, drop your voltage from 4.0 all the way down to 3.2 and slowly start pressing the button to burn off any remaining flavor. Once you start to smell a TINY BIT of burnt silica wick, you can pour your new E Juice flavor and start vaping at 4.0 volts again. The eGo Twist Starter Kit allows you to change out multiple tanks while being flexible with changing voltage which will result in a longer life of your battery. Having the ability to understand the eGo Twist functionality will result in proper maintenance and care which will save you money in the long run replacing multiple batteries. If you are looking for the ease of an all-in-one vape pen battery that some of the other eGo models do not offer, the eGo C Starter Kit is definitely the choice for you! The battery and the threading stay the same no matter what eGo vape pen you have. The Battery on the eGo-C Twist is the only thing that is different about the eGo- C Twist Starter Kit, it comes with variable voltage. 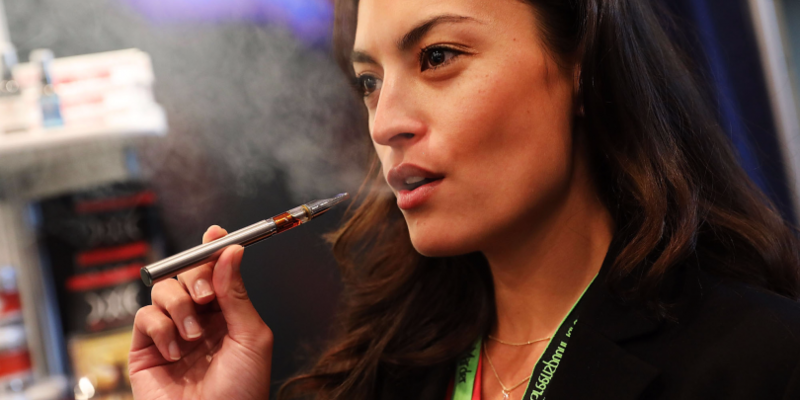 The Clearomizer holds your E Juice and gives you the ability to change flavors on the fly. The clearomizer on the eGo- C Twist Starter Kit can be interchanged with a huge list of clearomizer and cartomizer tanks. The Atomizer head is the part that most people want to change out because many atomizer heads offer lower or higher OhmsΩ. 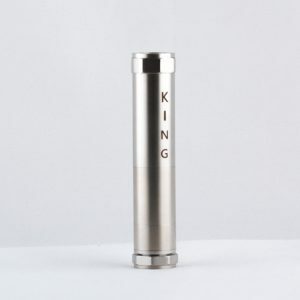 The atomizer head is the piece that draws the liquid which will produce the vapor. When you change out the eGo Twist Starter Kit atomizer heads, you can change flavors without having residual flavor left over in your wick, and thus can get a clean new vape taste every time. Your eGo- C Twist Starter Kit can be interchanged with many different size OhmsΩ atomizers, whether higher or lower, you be the judge of your own vaping style. 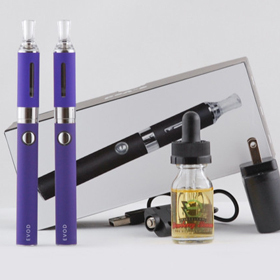 At Slim Vape Pen, the eGo Twist Starter Kit comes with the T3S Clearomizer tank. As with the rest of the eGo line, the Twist battery is compatible with any eGo atomizer or clearomizer, so why did we choose the T3S Clearomizer as the tank of choice for this starter kit? The answer is simply that of all the eGo atomizer and clearomizer tanks, we think the T3S clearomizer works spectacularly with the eGo Twist, creating a match made in heaven, as it were. The eGo Twist lets you choose how much voltage goes through the atomizer coil with every puff. 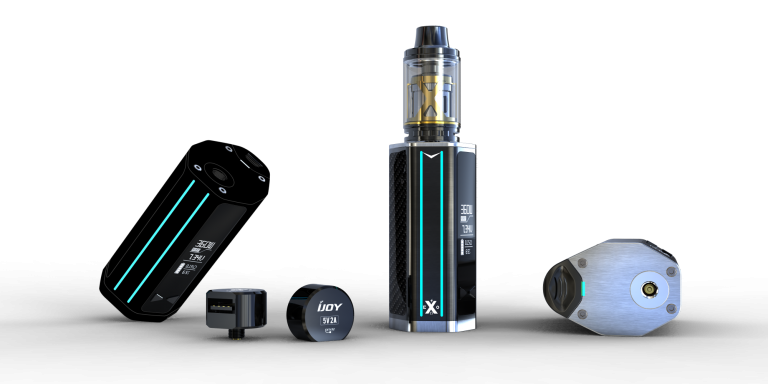 We thought it would be best to pair this functionality with a high-performing clearomizer tank that gives you great quality vapor and a cool, clean puff every time you push the battery. The T3S is one of our top-performing tanks at Slim Vape Pen, and we wanted to pair this great quality clearomizer with a fantastic battery with exciting functionality. While the eGo Twist is giving you control over how much power you use per puff and how much vapor you get, the T3S Clearomizer Tank shows you exactly how much e juice you have left and how much you have used. This gives you control over your e juice usage and helps you understand how much e juice you are using with each puff. The T3S Clearomizer is easy to refill and even easier to top off. 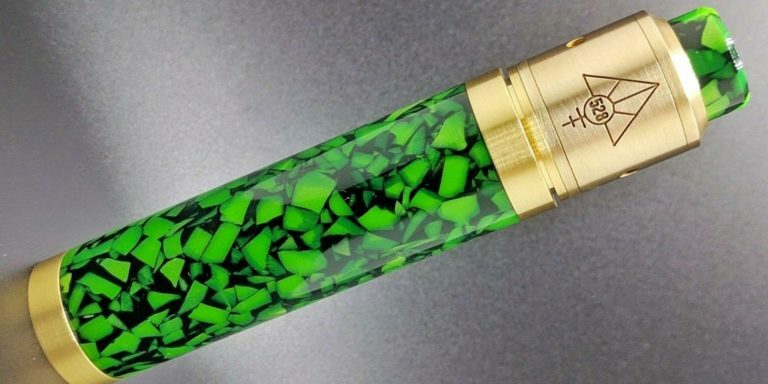 Just turn your entire vape pen upside down, unscrew the clearomizer tank, and you can carefully pour e juice in on the side of the clearomizer to refill it, taking care to avoid getting e juice in the hollow middle tube. There is no need to dump out the e juice that is still in your tank, unless you are switching flavors. If you are switching flavors, all you need to do to clear the taste of the old e juice is to run the atomizer under hot water and let it dry. The T3S Clearomizer is easy to troubleshoot and easy to care for. Leaks are most often caused by low e juice levels and can be easily fixed simply by refilling the clearomizer tank. When too much air is in the tank, the vacuum seal that keeps the tank from leaking can be broken. All you have to do is clean off the excess e juice with a clean cloth, refill your tank, and you will be vaping again in no time! The atomizer coils are inexpensive and easy to replace as well. 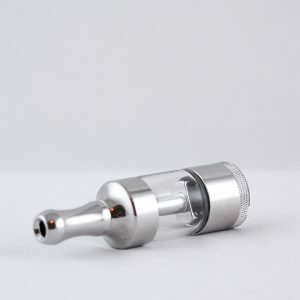 If you find that your T3S Clearomizer is not producing the amount of vapor it used to, or if it starts getting a burnt taste, it is probably time to replace the atomizer coil. This should be done as frequently as once a week, depending on how heavily you vape. A pack of replacement atomizers from Slim Vape Pen will keep you vaping happily for a long time at a very affordable price. 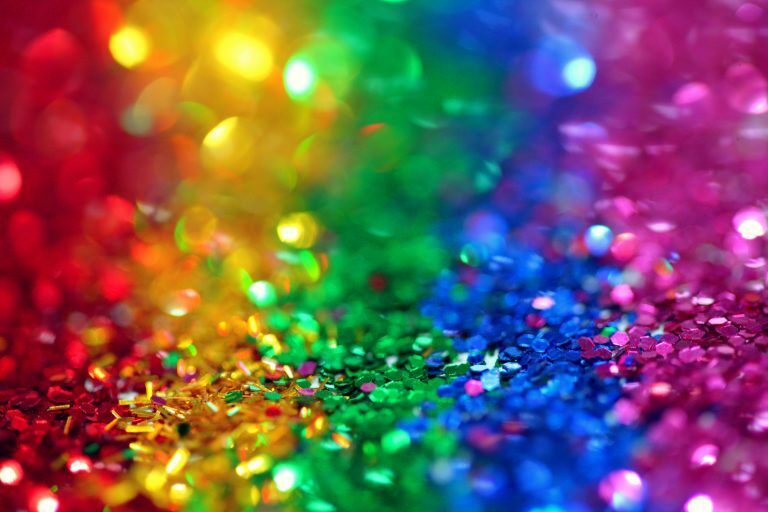 Choose Between the following color options: Black, White, Blue, Red, Pink and More!